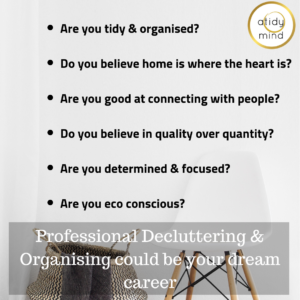 A Tidy Mind is an established brand and a successful professional decluttering and organising business. Because of this and our love for the job, we want to grow and share the business with others. So we’re excited to let you know there are currently UK wide franchise opportunities – for the right people. Starting a business from scratch can be difficult, overwhelming and lonely. First there’s the research stage, then getting the right website, then of course marketing the business and the long road to becoming established. 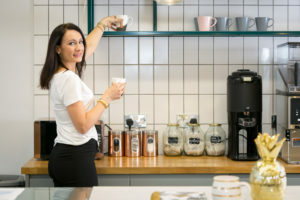 It’s certainly been a learning curve for us and we want to be able to share that learning so that franchisees can buy into something that has been proven to work. Buying a franchise means you will be given everything you need to run your own version of this business successfully. 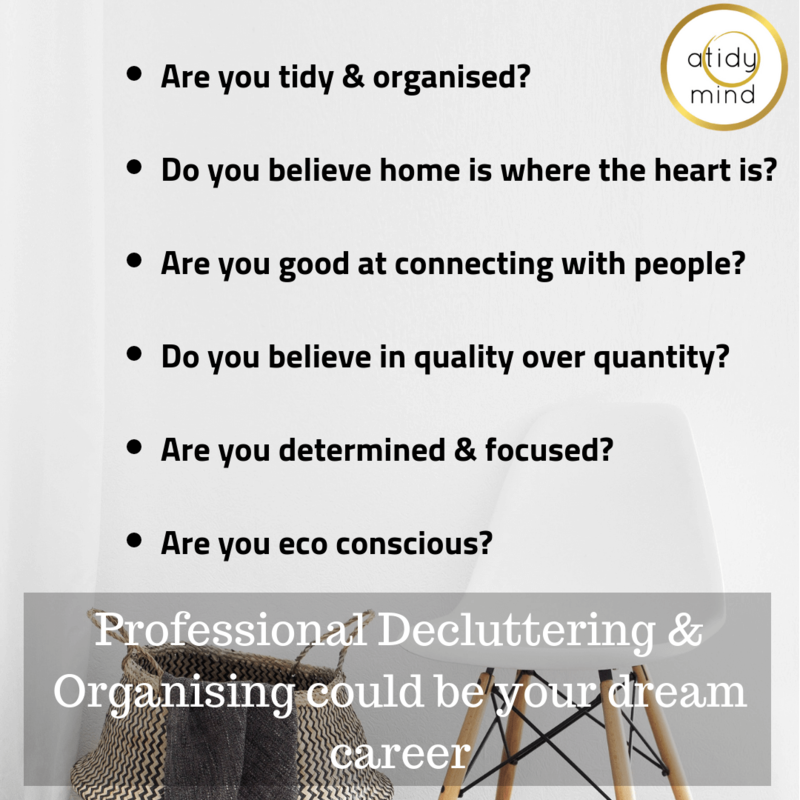 A decluttering and organising career would particularly suit a parent who needs a rewarding business to fit around school hours and school holidays (the summer holidays tend to be quiet periods). But attracts people from all walks of life. 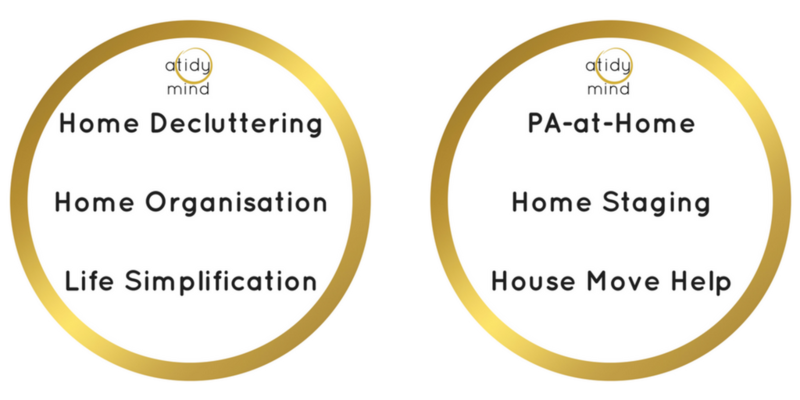 As an ideal person to run an A Tidy Mind franchise, you will have your own established organisational skills for running a home. 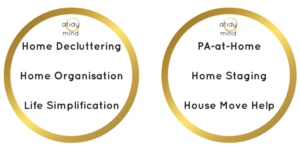 You’ll be conscientious and the ‘organiser’ in your personal life. You will be practical and believe in the concept of quality over quantity. You will be empathetic, confident and an amazing listener. You will have already been on your own journey of personal development. You will be positive and eco-conscious. Above all this, you will be fantastic at connecting with people. You won’t suffer from allergies and you won’t mind getting your hands dirty. Finally, you won’t know everything and that’s okay as intensive coaching and guidance will be provided. What do you stand to earn? Workshops & talks are variably priced. Interested? Tick all the boxes? Please get in touch.